Today, I visited “Chougotterimen Gottsu Akihabaraten”. 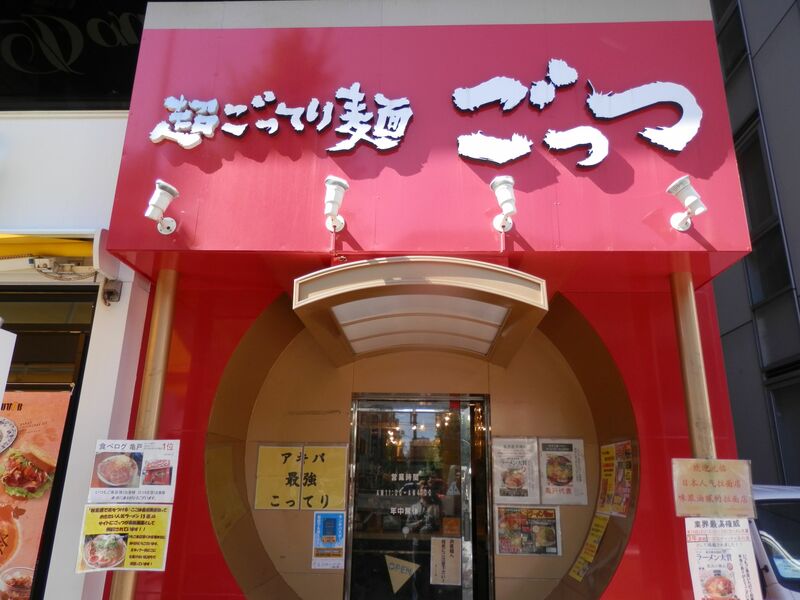 It is located around 5～6 minute walk from Akihabara station. I arrived there at 11:00, its opening time on a weekday and could enter without waiting in line. I bought a ticket and passed it to a person in charge. The dish came in around 5 minutes. 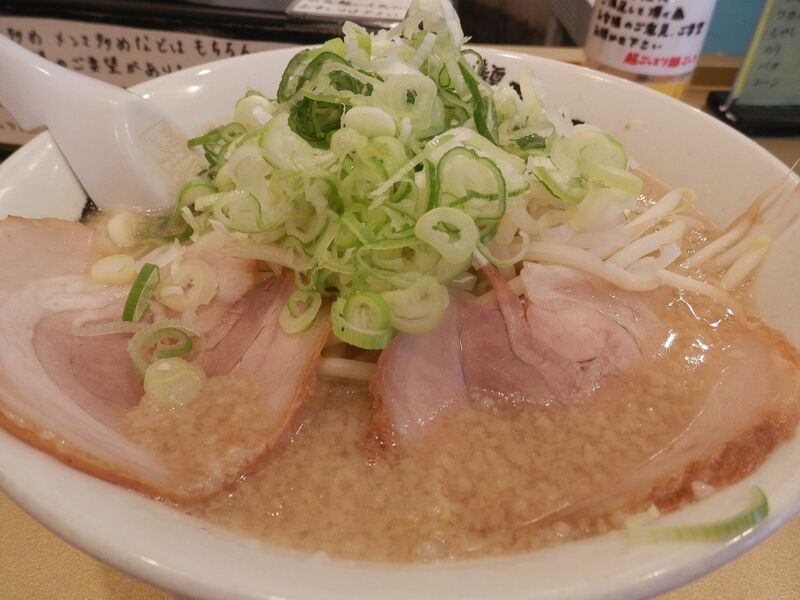 This was shoyu(soy sauce) ramen(￥750). Toppings were roasted pork fillets, welsh onions, bean sprouts and bamboo shoots. There were so much welsh onions and beansprouts, it took some time to reach noodles and picked them up. Noodles were medium thick and filling. Soup was mild and delicious with rich taste of back fat. It was a little bit salty but well neutralized by bunch of welsh onions and bean sprouts. If you still felt it heavy, you could pour hot water. 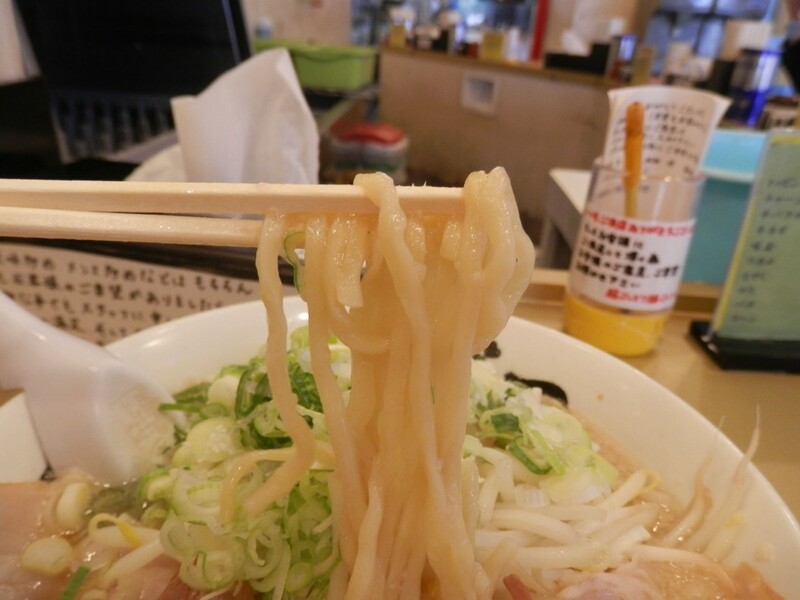 Why don’t you visit there if you feel like to have heavy ramen in Akihabara?